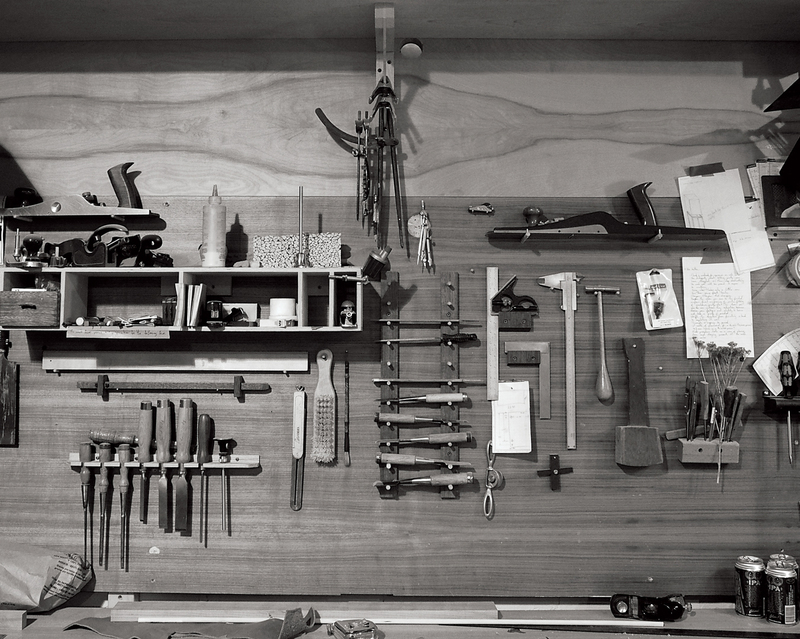 Artisans join forces in a collaborative, creative community space. The artists who work at Timbre Communal Workspace aren’t just building furniture – they’re building a community. Based in a Ritchie warehouse, just off 99th Street, Timbre has brought artists who work in a variety of media together in a space where they can not only access expensive equipment they otherwise couldn’t afford, but also bounce ideas off each other and collaborate on projects. “For survival reasons, it’s only logical that people band together to share the space and share overhead,” says Mike Lam, who owns the building and, along with co-founder Jordan Tomnuk, opened Timbre’s doors in early 2015. Most of the artists currently renting stalls at Timbre are woodworkers, but other designers and painters are also there. 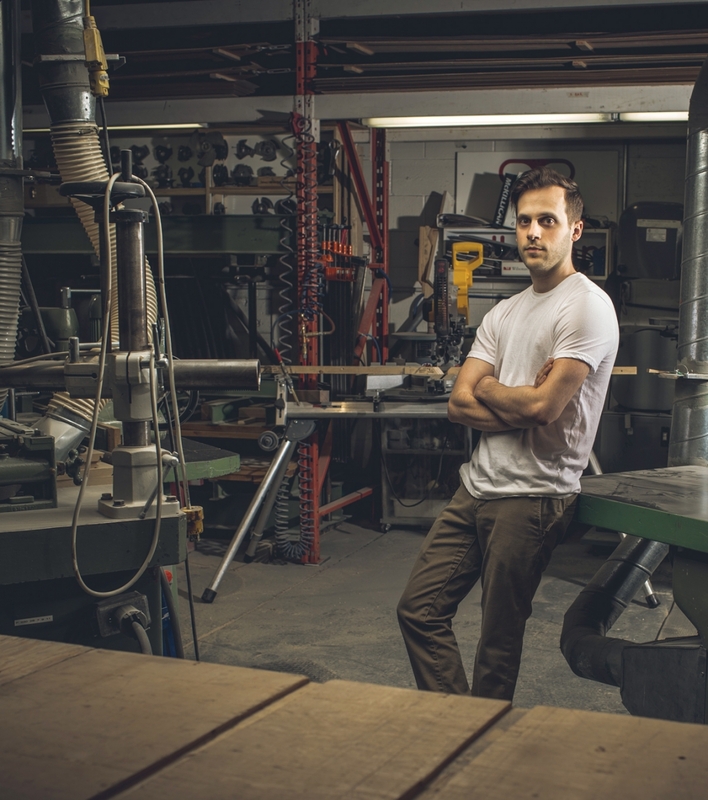 Tomnuk is an industrial designer who makes light fixtures and benches out of his stall. Timbre isn’t just about its own community, though; Lam wants its reach to extend into Edmonton as a whole. Timbre hosts workshops through the iHuman Youth Society; they give kids chances to learn about carpentry and metal working. There are plans to hold drop-in sessions that are open to the general public, giving the “weekend warriors” chances to use the communal equipment – after a thorough safety briefing, of course. “If they’re serious, they can get some good things out of it,” Lam says. The big pieces of equipment were bought from a friend of Lam’s who was retiring from his cabinet-making business. They’re not state-of-the-art, computer-guided tools that can make the same cut thousands of times with the push of a button but, for Lam, that adds to the charm. “If you have the organic feel, the fabrication, you can sense it. You can sense if something is handmade and people have put their heart and soul into it,” he says. Lam also owns the bay next to the Timbre space, and he and Tomnuk hope to open up office and studio spaces there in the next few months.